It is perfectly normal to feel nervous or worried from time to time. This is a fast paced society we live in and we are inundated with new technology frequently. Mild to moderate anxiety can be an effective means of helping you focus your attention, energy, and motivation. However, if anxiety is severe, you may have feelings of helplessness, confusion, and extreme worry that are out of proportion with the actual seriousness or likelihood of the feared event. Anxiety that becomes overwhelming and interferes with daily life can interfere with your quality of life. You deserve help for your anxiety. You are not alone. 40 million Americans or 18.1% of Americans age 18 and older suffer from anxiety disorders. It is the most common mental health issue in our country. Sleep problems, such as the inability to fall asleep or stay asleep, early waking, or restless, unsatisfying sleep. Anxiety affects the part of the brain that helps control creative expression and complex communication. This makes it more difficult to express yourself creatively or function effectively in relationships. Fearing that something bad is going to happen; sense of impending doom. Medications that contain amphetamines, such as Benzedrine, Dexedrine, and Ritalin. High blood pressure medications, including clonidine, beta-blockers (such as atenolol and propranolol), and methyldopa. Hormones, such as oral contraceptives and thyroid medications. Steroids, such as cortisone, Hexadrol, and prednisone. Respiratory medications, such as albuterol, salmeterol, and theophylline. Other medications, such as phenytoin, levodopa, quinidine, and some antidepressants. Medications that contain caffeine, such as Anacin, Empirin, Excedrin, No-Doz, and cough medicines. Decongestants, such as phenylephrine, including Sudafed PE. Illegal drugs, such as cocaine, crack, or speed (amphetamines). There are medications designed to help your anxiety. Perhaps you are on one already. Hypnotherapy is very effective for anxiety disorders whether you are using a prescription or not. 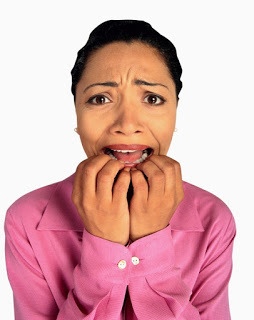 Panic Disorder – feelings of terror that strike suddenly and without warning. Obsessive Compulsive Disorder (OCD) – the disturbing thoughts are obsessive and the certain rituals or routines performed to allay fears are the compulsions. Post-traumatic Stress Disorder (PTSD) – while appearing emotionally numb, these people relive or have flashbacks of the terrifying trauma or event in which it was perceived that they could die. Social Anxiety Disorder (Social Phobia) – overwhelming fear of being judged, criticized or ridiculed by others. Generalized Anxiety Disorder (GAD) – excessive and unrealistic worrying even when there is little to nothing to trigger it. Specific Phobias – intense fear of a specific object or situation that is unrealistic to the trigger and possibly causing the person to avoid everyday situations. There is help! If you came to see me, you would be listened to non-judgmentally and asked to help me see into the window of your life. You would help me learn: the history of your anxiety, what has triggered your anxiety (there is a reason for every emotion we feel), what has helped at times, if anything, and what you are hoping for in relief. A plan of care is developed mutually with you….whether healing of the memories, changing your relationship with stress triggers, cultivating more self-esteem and confidence, balance feelings with the facts, utilizing your strengths to help you with your challenges, put the stressors in perspective and learning relaxation tools and self-hypnosis are just a few of the options. Call me to see how hypnotherapy can help your anxiety issue(s). Call me today at (509) 448-5660.